Every maker has a story. Be a part of Sculpture By Villano's story by placing an order, leaving a review, and seeing your review appear here. 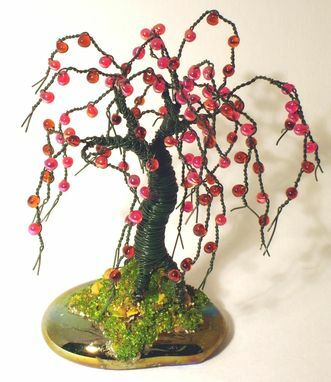 You can learn how to create this & other tree sculpture using my book: "How to Create Beaded and Wire Tree Sculpture".